One of the most popular events of the day attracting large numbers of entrants. The Dog Show is open to all canines – mutt or pedigree. 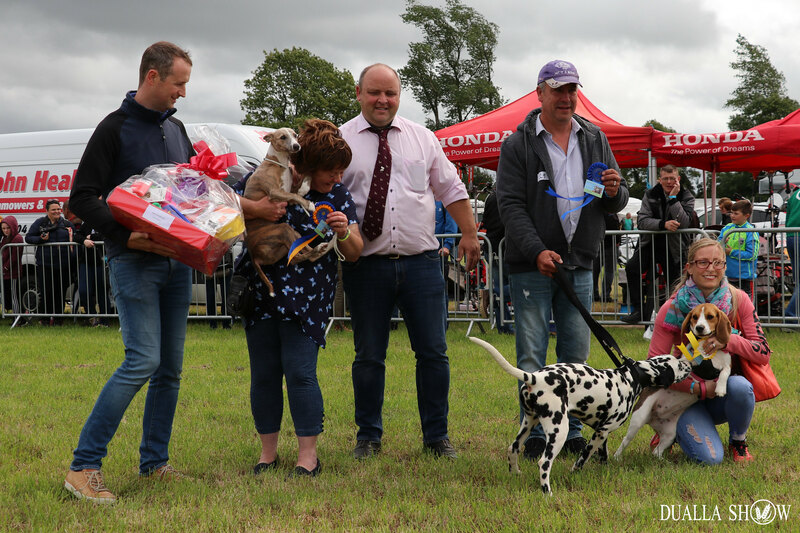 Our judges will be looking for dogs that are fun, happy, talented and charming, so if you think that your dog fits the bill then be sure to bring your dog this year. 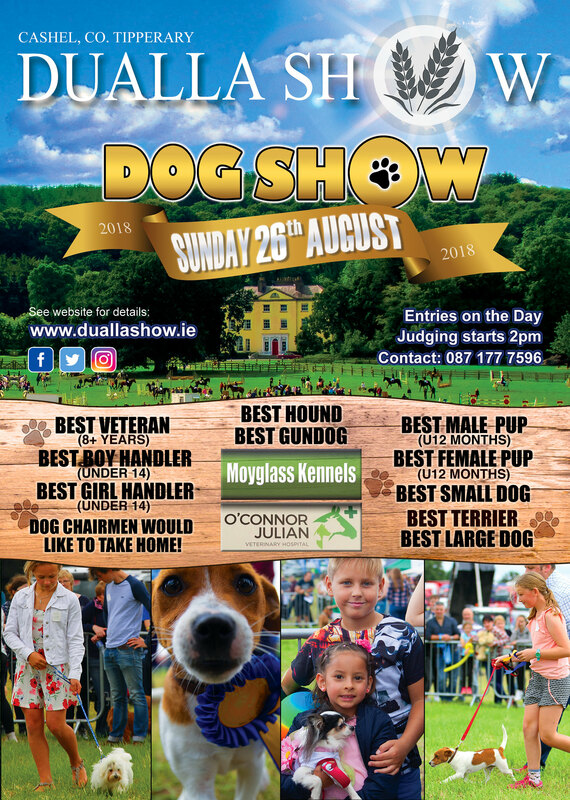 The competition categories include awards for best puppy (over 6 months and under 12 months), small dog, large dog, terrier, hound, gun dog and the much coveted “Dog Chairperson would like to take home”. 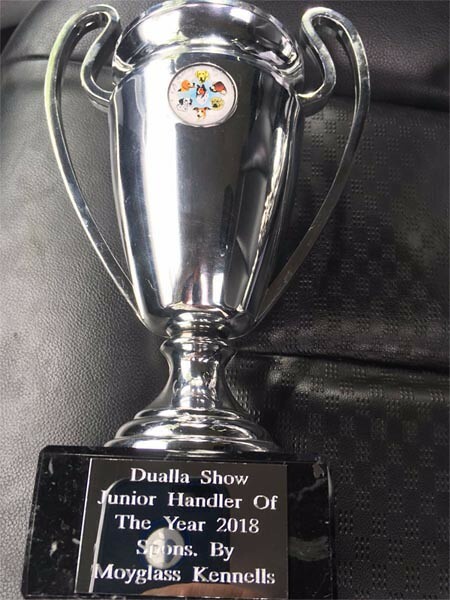 There’s also classes for best young handlers (boys and girls under 14). 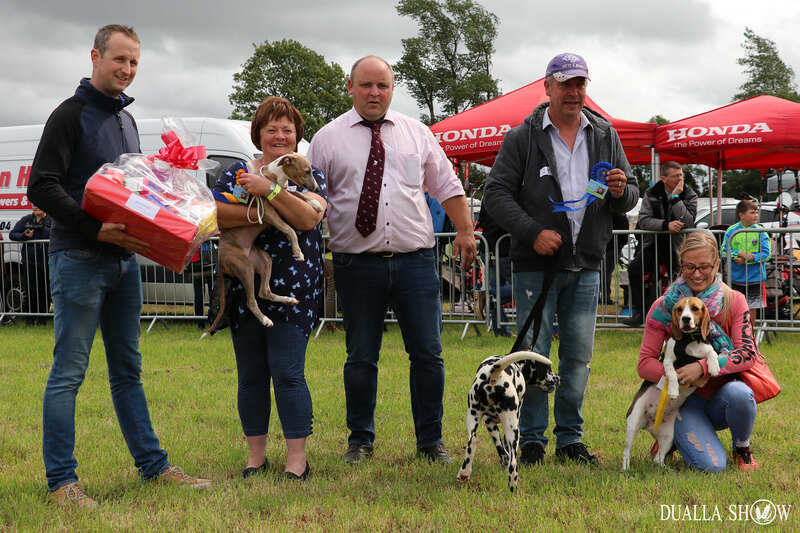 The 2018 dog show attracted a wide variety of owners and their dogs on the day. 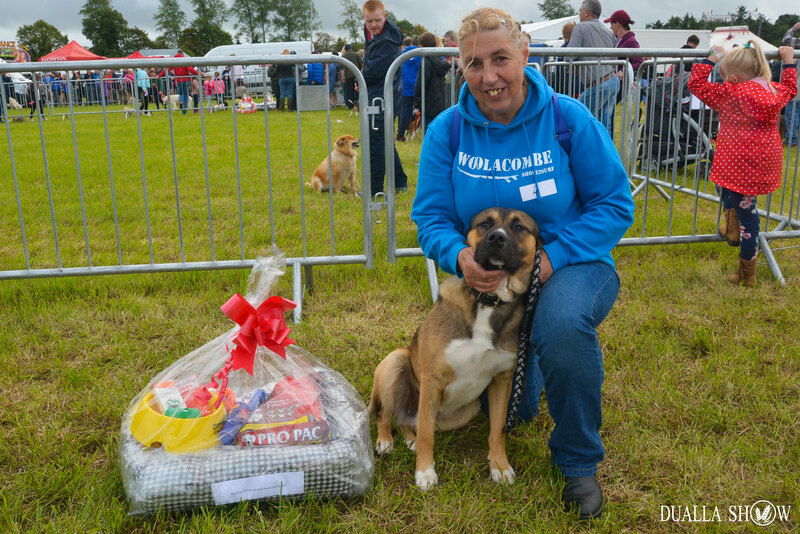 Best in Show 2018 was Jenny O’Meara with her Irish Wolfhound “Yeats”. 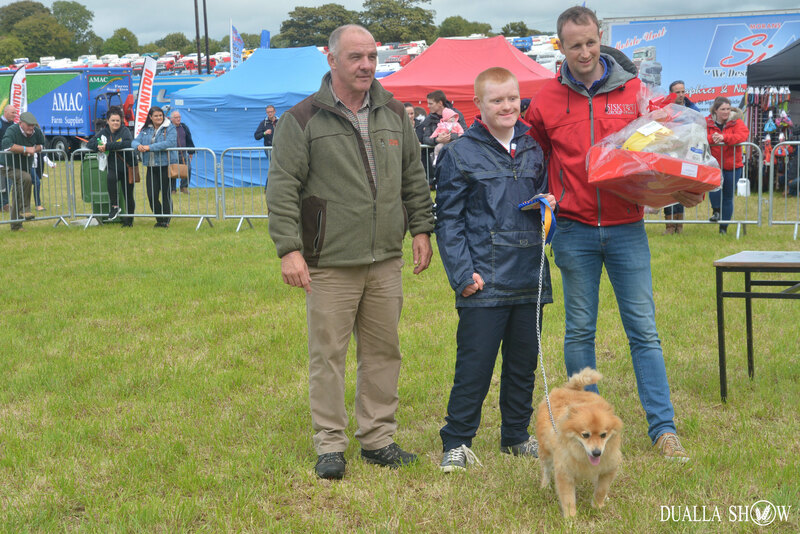 Reserve champion was Willy O’Meara from Fethard with “Rodge” a beautiful Irish terrier. Best Puppy in Show went to Kathleen Dalton from Urlingford with “Teddy”, a Bernese mountain dog. 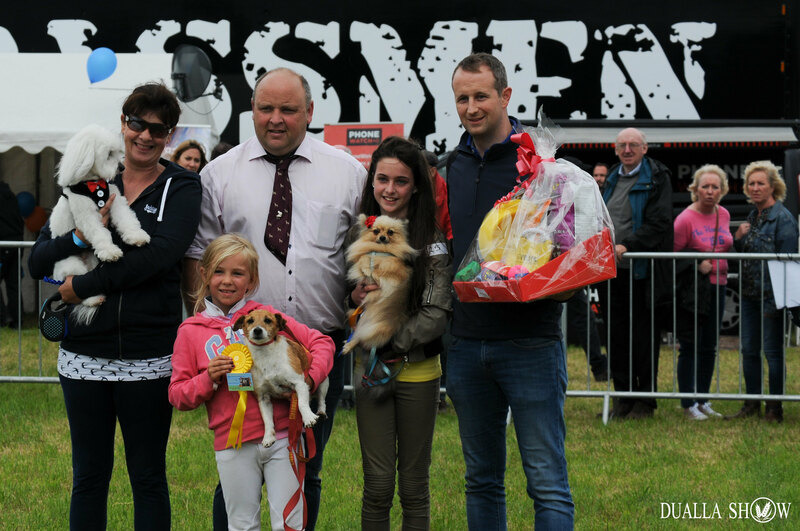 Young Handler of the Year was Grace Kennedy with “Bailey” a Cavalier King Charles/Bichon Frise cross. Dawn Fitzgerald from Urlingford won the Chairman’s choice with “Baby Bear”. 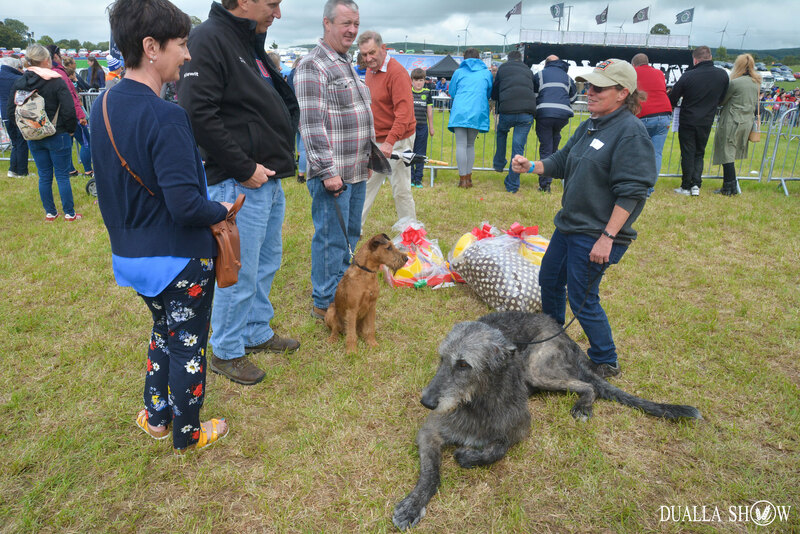 Best in Show 2018 was Jenny O’Meara with "Yeats" a wonderful Irish Wolfhound. Reserve champion was Willy O’Meara from Fethard with “Rodge” a beautiful Irish terrier. 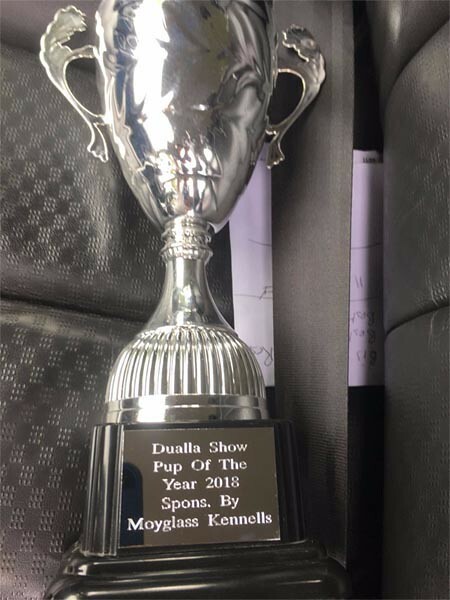 Best in Show 2018 was Jenny O’Mara with her Irish Wolfhound “Yeats”. 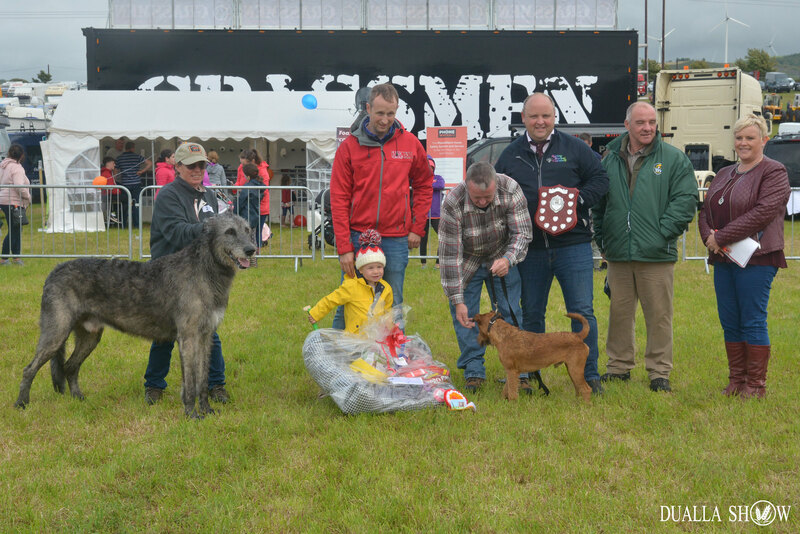 Reserve champion was Willy O’Meara from Fethard with “Rodge” a beautiful Irish terrier. 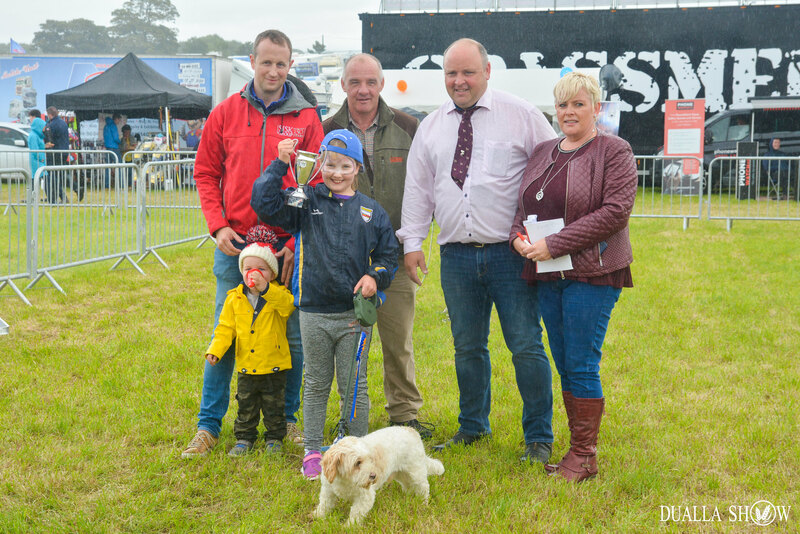 Young Handler of the Year was Grace Kennedy with “Bailey” a Cavalier King Charles/Bichon Frise cross. 1st was Rosemary Chambers with "Luca". 2nd was Jimmy Laurence with "Peggy". Dawn Fitzgerald from Urlingford with "Baby Bear"